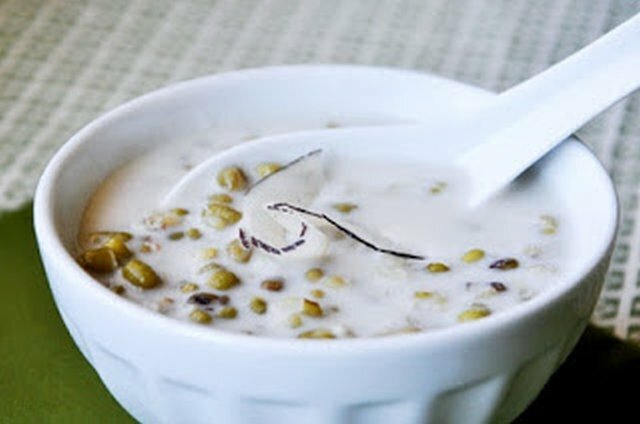 Green mung bean pudding with palm sugar is delicious Khmer dessert. In a medium pot, put mung bean, tapioca pearl and water together, cook till mung bean and tapioca tender. Add palm sugar, salt and vanilla extract, stirs and continue to cook till water bubbling.